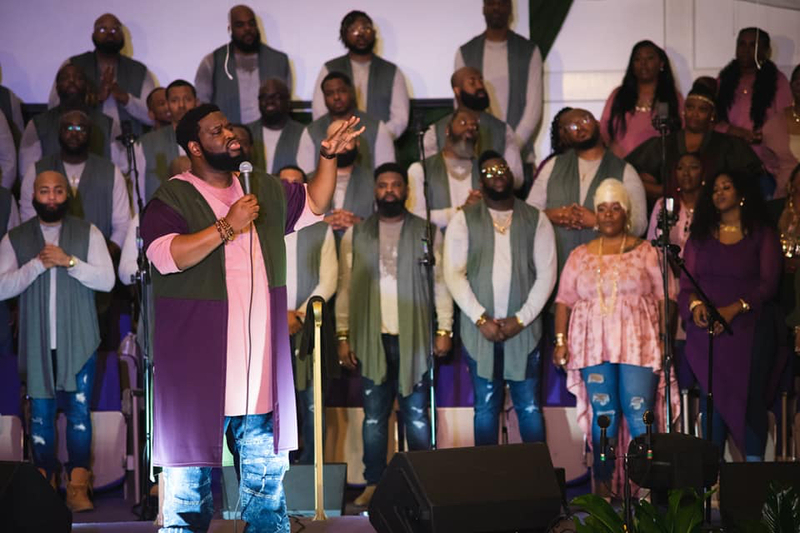 ATLANTA, GA (November 23, 2018) While people are normally out shopping on Black Friday, hundreds of people from far and near headed over to New Beginnings Full Gospel Baptist Church for Kevin Lemons & Higher Calling’s live recording entitled “The 3rd Round”. 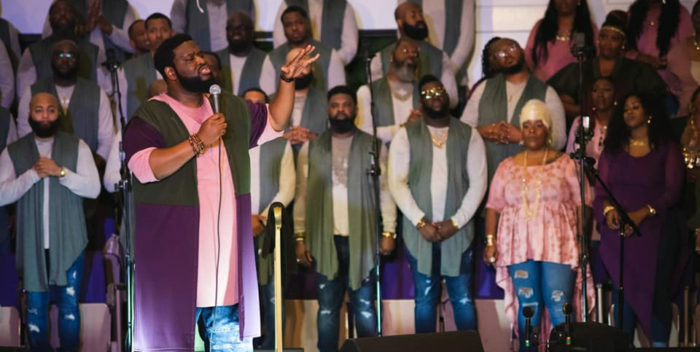 Atlanta’s hottest 60-piece choir was recently signed by gospel music legend Hezekiah Walker under Hez House Music Group. One thing about Kevin Lemons & Higher Calling is that they also pay homage to traditional gospel music from the eras of James Cleveland and Thomas Winfield. “Proclaim His Name” brought forth a quartet, 80s sound and contemporary vibe all mixed into one. This song was led by Corey Prather, founder of Corey Prather and HiPraize out of Tennessee. This guy sang until the power fell. Kevin then grabbed the mic and said “We gotta use the old power in order to have new church!” This track will definitely be many choir lover’s favorite from Higher Calling’s forthcoming album. Kevin Lemons & Higher Calling recorded over 12 songs during their recording, which included lead vocals from the amazing LeJuene Thompson, Darius Paulk, C. Ashely Brown-Lawrence, and the anointed Travis Malloy. A very special guest in the audience was award winning gospel artist Donald Lawrence, who is Kevin Lemon’s Mentor. Lawrence surprised Kevin Lemons & Higher Calling for their recording. Other special guests included the choir master himself Professor James Hall, Amber Bullock, Patrick Riddick, D. Corey Shipley, Zak Williams, and Michelle Prather of Kurt Carr & The Kurt Carr Singers. Kevin Lemons & Higher Calling’s 3rd Round Live Recording was nothing short of amazing! From beginning to end, the song choices (multigenerational), the skill, the sound, the message and most of all the presence of God was phenomenal! Long Live The Choir! Got a Sweet Tooth? Meet Chef Jae! To Roots Magazine, on behalf of Kevin Lemons and Higher Calling, we thank you for sharing us with your readers!!! We are forever grateful!!! To those who missed the recording, you definitely missed and amazing time!!! Words, truly cannot express or describe the feeling and atmosphere that night. God made BIG moves that night. He acted like God God!!! Again, thank you, thank you, thank you!!! Everyone, make sure you get the CD when released (planned for Spring ’19).